Economists may quibble over whether the U.S. economy is technically in a “recession” or not, but as today’s retailers are well aware, times are tough. The rising costs of basic necessities and a shaky job market have left consumers understandably reluctant to part with their hard-earned dollars unless they feel it is absolutely necessary. How does a retailer compete in such a difficult environment? The traditional means of boosting lagging sales and saturating the market with new stores, will not work in this climate. There are not enough new customers to go around these days, and cannibalization is not a viable long-term strategy. Instead, retailers need to ensure short- and long-term success by maximizing their return from existing customers. Advances in business intelligence technology have enabled retailers to embed valuable intelligence, such as consumer preference data, within the business processes that enable merchants to make better decisions, from the supply chain all the way to the stores. We call this strategy insight-driven retailing. We believe Insight-Driven Retailing will help retailers maintain optimal performance and satisfy customers while focusing on same-store sales, rather than saturation and dilution of a tight marketplace. In addition, you can survive and build strong customer relationships during a period where competitors who lack insight will lose customers and possibly go out of business. When the economy recovers (as it inevitably will), insight-driven retailers will be primed to take advantage of new opportunities for growth, both through increased basket sizes of existing customers and a positive image to attract new ones. Retailers who practice insight-driven retailing make better decisions across the enterprise thanks to integrated, end-to-end business processes, including consumer-driven supply chain management, localized merchandising and assortment planning, and space optimization. Quarterly performance hinges upon the day-to-day decisions, both large and small, that merchants make in areas such as pricing, allocation and buying, and promotions. These decisions swing the all-important same-store sales percentages up or down by as much as one point. Let’s take a quick look at how insight-driven retailing bolsters retailers’ performance in key business operations such as supply chain management, merchandising/assortment planning, and space optimization. By now, most retailers realize that a “pull” supply chain driven by actual consumer demand is preferable to a “push” supply chain driven by manufacturer and retailer promotion. Customers who are used to literally having the world at their fingertips, thanks to the Internet and personal electronic devices, are no longer interested in being told what products to buy. But how do you determine what consumers actually want to buy? Last month’s sales numbers are obsolete by the time you look at them. Insight-driven retailers know that all players in the supply chain must have timely access to daily store-level data that will inform them of what consumers want today, not last week or last month. There is no way to offer the same kind of personally tailored customer experience in a physical store that you can on an e-commerce site, but by localizing your merchandising and assortment plans at the individual store level, you will reap significant intangible benefits, such as improved customer satisfaction levels, as well as tangible benefits, such as higher margins and increased basket sizes. In recent years, breakthrough innovations have enabled retailers to capture new intelligence regarding trends and customer behaviors at the store level and embed it into their pricing and markdown systems. As a result, I believe retailers can achieve 5 to 15 percent improvements in gross margin dollars by integrating pricing and markdowns down to the point of sale. In addition, retailers who embed customer SKU preferences into their profiling, forecasting and optimization practices can improve the accuracy of buying and allocating merchandise, creating 5 to 10 percent improvements in gross margin dollars and improved inventory turn. Furthermore, I believe retailers can increase sales 1 to 3 percent by gaining real-time visibility to inventory across channels, improving both the customer experience and store inventory management. Space Optimization is a natural complement to consumer-driven supply chain management and localized assortment planning. What’s the point of creating a lean, mean supply chain targeted to local consumer preferences if customers cannot find the products they want due to lack of space or poor store layout? Space Optimization allows retailers to use every square inch of selling space to its maximum profit potential. Optimization systems take in information such as store sales, customer preferences and product sizes to produce space plans based on business rules, forecasted demand, and profit potential. Assortment plans can thus be executed in a manner that maximizes the sales potential of floor selling space. Pull-based supply chain strategies, localized product assortments, and optimized space planning are critical consumer-centric strategies retailers must consider in today’s hypercompetitive retail environment. The key common capabilities for deploying them means getting inside the heads of consumers and driving these insights across seamlessly connected planning and execution functions – from the merchandising organization, through the supply chain, and down to the individual store level. With an insight-driven approach to retailing, retailers will deliver the value customers are looking for, while delivering growth and bottom-line improvements. 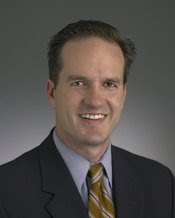 Dave Boyce is Vice President of Product Strategy for Oracle Retail. He joined Oracle in 2005 through the acquisition of ProfitLogic where he served as Vice President of Marketing & Business Development. Dave holds a BA in German Literature and Philosophy from Brigham Young University and an MBA from Harvard Business School.